Dr. Jay L. Schwartz has performed over 47,000 LASIK surgeries and offering both IntraLASIK and Custom LASIK procedures, it is not hard to see why professional athletes have trusted the Schwartz Laser Eye Center since 2001. 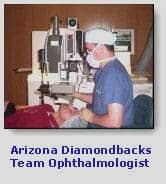 Dr. Jay L. Schwartz was chosen to be the team ophthalmologist for the Phoenix Suns and The Phoenix Mercury in 2000, the Arizona Diamondbacks in 2002, and the team LASIK ophthalmologist for the Arizona Coyotes in 2002. The Schwartz Laser Eye Center is also the official LASIK center of the Suns, Coyotes, and Diamondbacks making it easy to see why Schwartz Laser Eye Center is synonymous with professionalism. In fact, Schwartz Laser Center’s doctors spend every spring assisting numerous professional baseball teams preparing for the upcoming year. Aside from providing state-of-the-art refractive surgical options, such as the Visian ICL™, KAMRA Inlay, Epi-LASIK and Custom IntraLASIK surgery, Dr. Jay L. Schwartz is an experienced cataract surgeon offering the most advanced intraocular lenses. Options include the AcrySof® Toric IOL to help treat astigmatism. The Schwartz Laser Eye Center is not limited to providing only surgical services; the doctors provide comprehensive eye examinations at all 3 locations and have a wide range of both prescription glasses and sunglasses. We are confident that the Schwartz Laser Eye Center can take care of all of your eye care needs. Dr. Schwartz’s practice specializes in LASIK. He has traveled throughout the United States and Europe training other surgeons on the LASIK procedure. These locations include: Albuquerque, Chicago, Columbus, Colorado Springs, Dallas, Denver, Nashville, Honolulu, Houston, Minneapolis, Midvale, Orem, Miami, Orlando, Quincy, Illinois, San Antonio, San Diego, Seattle, Tallahassee, Tampa and Florence, Italy. Dr. Schwartz has also trained several other surgeons from around the world at our clinic in Scottsdale, Arizona. Dr. Schwartz graduated from the Chicago College of Osteopathic Medicine. He finished his Ophthalmology Residency at Midwestern University in Chicago, Illinois in 1997. He received fellowship training from Charles Casebeer, M.D. He has been a principle investigator in an Investigative Device Exemption (IDE) study on the Nidek laser, from which data was submitted to the FDA. Dr. Schwartz is a Board Certified Ophthalmologist and licensed to practice medicine in Arizona. Dr. Schwartz moved to Arizona in 1997. He currently lives in Scottsdale, with his wife Brenda, daughter Madelyn and son Maxwell. To read Dr. Schwartz’s curriculum vitae please click here. Dr. Marc R. Bloomenstein is a 1990 graduate of the University of California at Los Angeles with a degree in Biology. He received his optometric degree from the New England College of Optometry in 1994. After graduation, Dr. Bloomenstein finished a residency in secondary ophthalmic care at the Barnet Dulaney Eye Center in Phoenix, Arizona. 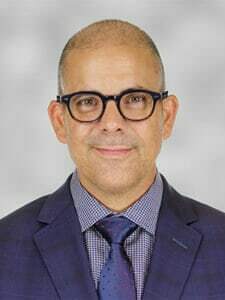 He received his fellowship from the American Academy of Optometry in December, 1998 and is a founding member of the Optometric Council on Refractive Technology. Currently, Dr. Bloomenstein is at the Schwartz Laser Eye Center. Aside from lecturing and publishing on numerous anterior segment and refractive topics, Dr. Bloomenstein is on the editorial board of Primary Care of Optometry and Contemporary Optometry. Dr. Bloomenstein served as the President of the Arizona Optometric Association, as well as an Optometric Advisor to STAAR Surgical and Medtronics Solan. Dr. Bloomenstein is the President of the Board of the Arizona Optometric Charitable Foundation. Dr. Bloomenstein does not have any financial interest in products discussed in his lectures. To read Dr. Bloomenstein’s curriculum vitae please click here. Dr. Donausky has been in practice with Dr. Schwartz since 2003. Dr. Donausky attended and graduated from the University of Illinois at Champaign/Urbana where he not only excelled academically but also played for the U of I Lacrosse Team. 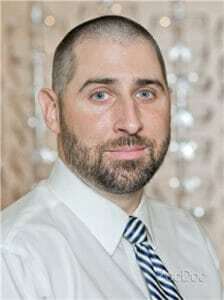 He received his doctorate from the Illinois College of Optometry in 2003. Shortly thereafter, he moved from his hometown of Chicago to Scottsdale, Arizona mainly because of the weather and what the valley of the sun has to offer recreationally. Dr. Donausky is licensed by the Arizona State Board of Optometry and is TPA and DPA certified. Dr. Donausky has met and completed all requirements of the National Board of Examiners in Optometry. Dr. Rhodes is a graduate of Arizona State University. She received her optometric degree from Southern California College of Optometry. Subsequent to completing her optometry doctorate, she established a private practice in Sisters, Oregon. Dr. Rhodes’ practice specialized in comprehensive optometric care. She then relocated back to Arizona to be closer to family and enjoy the countless activities the valley offers. 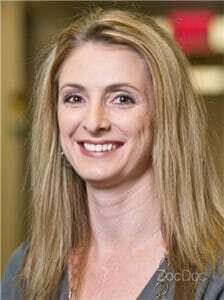 Dr. Rhodes currently lives in the east valley with her husband Garret and children, Mollie, Josie, and Jack.